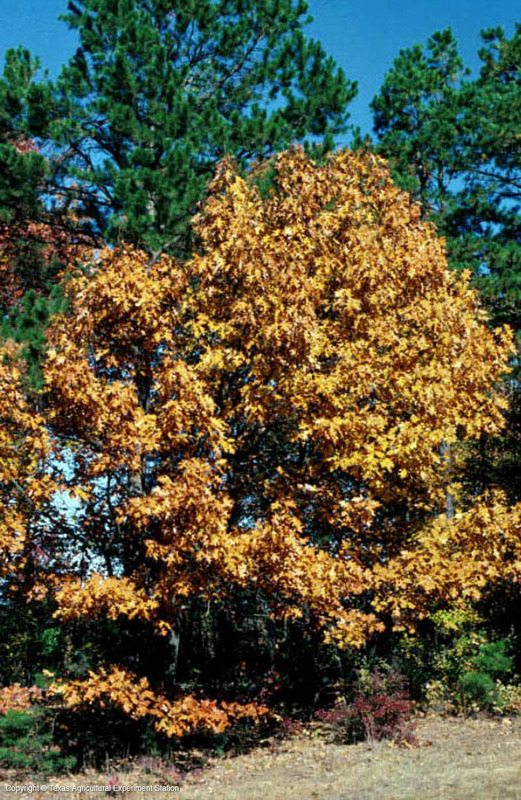 Black Oak is a striking species of the Pineywoods and Post Oak Savannah of east Texas. 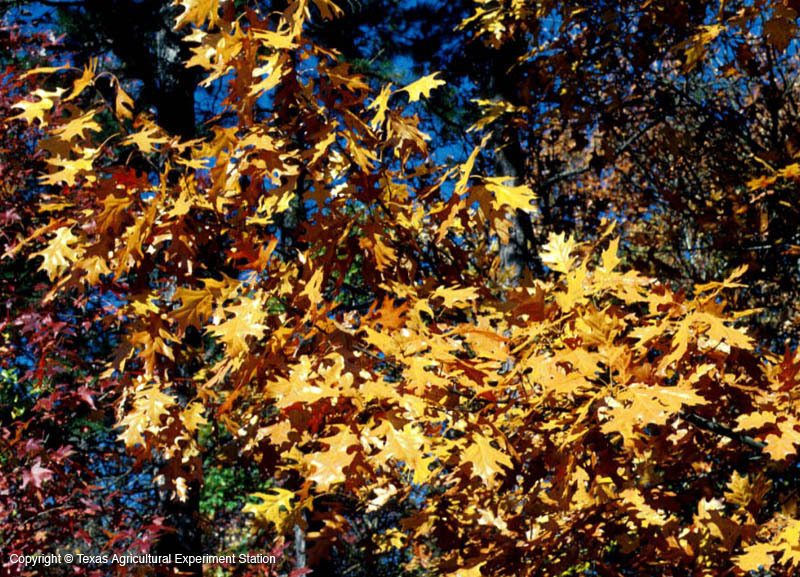 It grows on sandy upland ridges in somewhat acidic, coarse-textured soil. A deep taproot gives it the ability to thrive on poor sites. 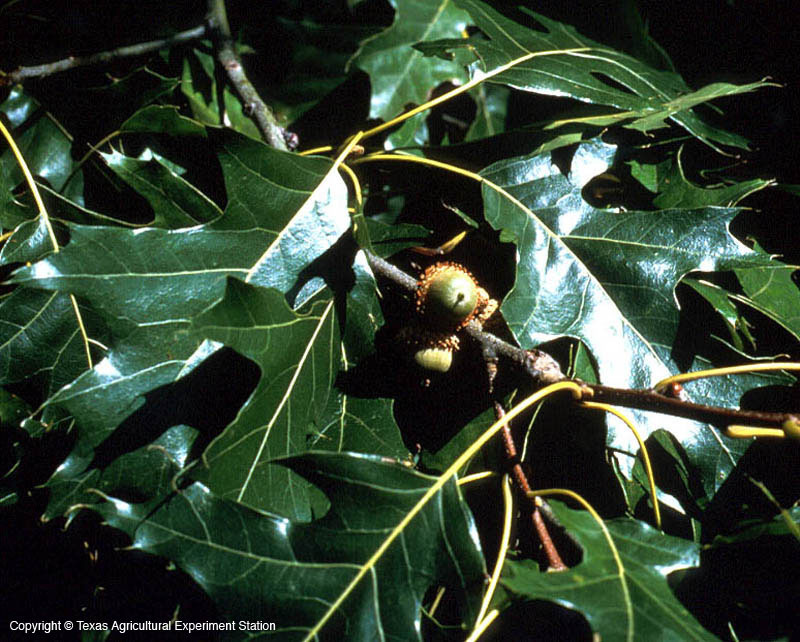 Black Oak is fairly uncommon, ocurring singly or in pairs but never in thickets and groves. 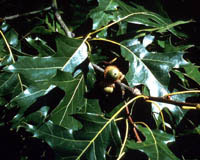 One of eastern Texas' most attractive oaks, it has deep rich green leaves in the summer and golden yellow fall color. It is highly intolerant of shade.